Trelleborg has been awarded the prestigious EN1474-2 accreditation after developing a hose design for use in the transfer of LNG between floating terminals and carriers. Trelleborg’s fluid handling operation, which supplies flexible bonded hoses for the crude oil, chemicals and Liquefied Natural Gas (LNG) offshore industries, has been awarded the prestigious EN1474-2 accreditation following the development of a revolutionary hose design for use in the transfer of LNG between floating terminals and carriers. It is the first product of its kind in the world to receive this accreditation. Up until very recently, the vast majority of projects have adopted a side-by-side configuration when undertaking LNG transfer, with the end product transferred via a cryogenic marine loading arm between two vessels positioned alongside one another. The close proximity of the two vessels – as little as five metres/ 16 feet – has been known to lead to a number of potential operational difficulties as well as an increased scope for issues around safety, involving collision between the two vessels. This led to the development of a ground-breaking new approach. 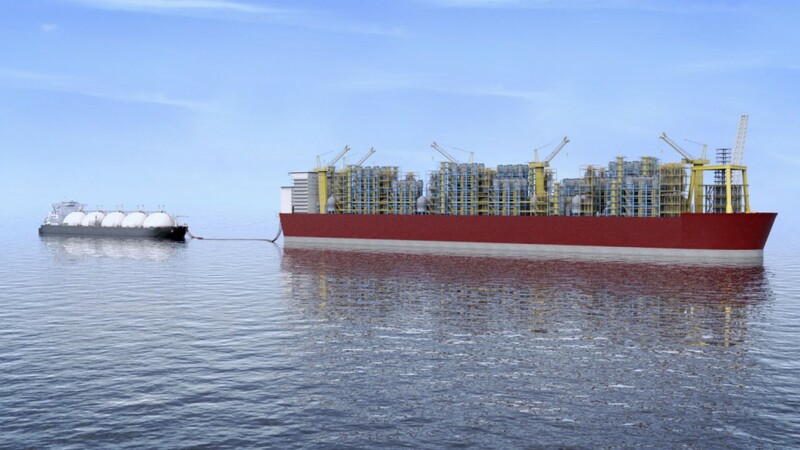 As such, vessels can now be situated in tandem with one behind the other at a distance of approximately 100-150 metres/ 328 to 492 feet, enhancing the overall safety and efficiency of the LNG transfer process through a larger operating window and enabling LNG transfer to occur even in the most challenging of weather conditions. Instrumental to the new configuration is a 0.5 metre/ 20-inch inner diameter and 20 barg working pressure cryogenic floating hose developed as part of a long-standing collaboration between Trelleborg and Saipem. Following a rigorous testing process, this innovation has fulfilled the criteria to satisfy the EN1474-2 standard for LNG transfer. It comprises a floating hose based on a hose-in-hose concept with an outer rubber marine protective hose housing an inner LNG cryogenic composite layer – a technology already well established in ship-to-ship LNG transfer operations. Given the demanding environments in which these hoses are used, exhaustive checks must be in place to determine that they are fit for purpose since design flaws can have potentially enormous impact on production, cost and the environment. To meet the requirements of EN1474-2 standard, Trelleborg successfully tested several full scale hose prototypes in static and dynamic conditions, most of the tests taking place in cryogenic conditions at -196 °C/ -321 °F. The tests demonstrated the ability of the hose to cope with extremely high loading conditions in severe operating environments. The innovation will help bring LNG transfer in line with similar operations in the oil sector, where more than 90 percent of transfer operations now take place via a tandem configuration.